A new study lead by an oncologist at Loyola University Medical Center has found that growing cord blood stem cells in a laboratory before transplanting them into patients significantly improves survival. The cell-expansion technology potentially could boost the number of patients who could benefit from life-saving transplants of stem cells derived from umbilical cord blood, said Patrick Stiff, MD, lead author of the study. Stiff, director of Loyola's Cardinal Bernardin Cancer Center, presented findings at the 2013 annual meeting of the American Society of Hematology. The ASH meeting is the preeminent annual event for physicians and scientists in hematology. Data from more than 5,300 abstracts were presented, and Stiff's abstract was selected as one of the 2013 meeting's top submissions. Stem cell transplants can save lives of patients who have no other options. Patients receive high-dose chemotherapy, and in some cases, high-dose radiation as well. The treatment, unfortunately, kills healthy blood cells along with the cancerous cells. 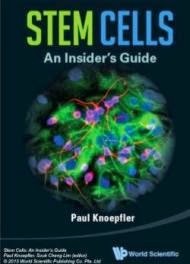 To rebuild the stores of healthy cells, the patient subsequently receives a transplant infusion of immature stem cells. Over time, these stem cells develop into new blood cells. The study examined a new technology called StemEx®, which grows cord blood stem cells in an outside laboratory. After 21 days, there's a roughly 14-fold increase in the number of stem cells available for transplant. The study included 25 centers in the United States, Europe and Israel. Researchers used the StemEx technology for cord blood transplants in 101 leukemia and lymphoma patients. These patients were compared with a historical control group of 295 patients who each received a double dose of cord blood stem cells. After 100 days, the overall survival was significantly higher in the StemEx group (84.2 percent) than in the control group (74.6 percent). The StemEx transplants also were quicker to engraft, i.e., develop into a sufficient number of blood cells. In the StemEx group, engraftment of neutrophil blood cells took a median of 21 days, compared with 28 days in the control group. Engraftment of platelets took a median of 54 days in the StremEx group and 105 days in the control group. (Neutrophils are infection-fighting white blood cells; platelets are small blood components that help the clotting process.) The faster neutrophils and platelets are engrafted, the less time patients are vulnerable to infections and bleeding.